The horrid habits I harnessed the past few school terms are rearing their ugly heads (yes, there are multiples heads) in the first few days of classes. I can create elaborate reasons not to do something. Quite funny and perplexing. I am happy to report that I have attended all classes and have sat in the Financial Aid office more times than I care to share, worked on homework, etc. It is nice to have a daily to-do list and actually check off most of what was assigned. I have been doing these lists this week and always give myself more to do than I think will happen. It will take some time to re-create myself in a university setting, but it feels so wonderful to know that I am trying again, making it happen, and holding myself to a new and more adult accountability, a positive resistance to the old that did not work for me. Postscript for poppets: This month marks the most that I have blogged in one month: 22 times. For some reason, that is an event for me. I googled "positive" and found both of these pictures to be intriguing. 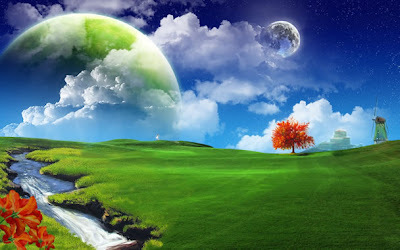 The first is called "Positive Energy" and I adore the colours and find the drawing to be calming and whimsical. 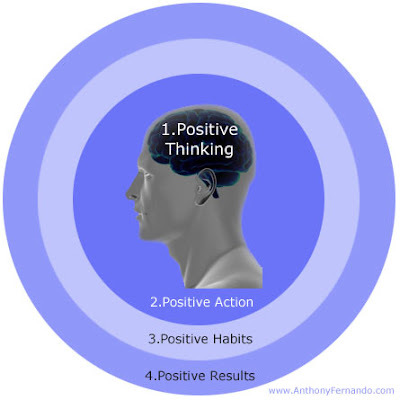 The second, "Positive Thinking", is rather self-explanatory.